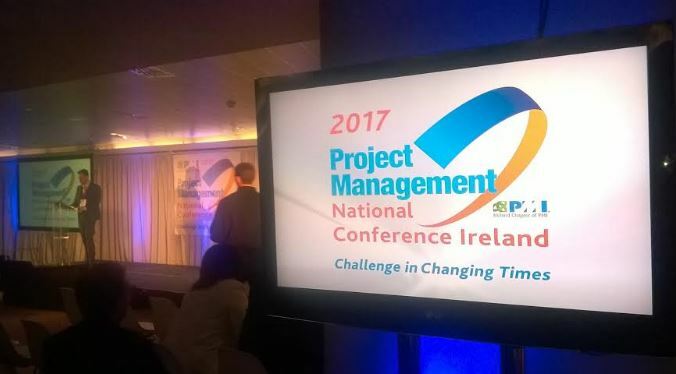 Around 400 business professionals gathered to discuss the challenges of Brexit at the Ireland Chapter of Project Management Institute’s (PMI) annual national conference at the Aviva Stadium on 4 May. With the theme ‘Challenge in Changing Times’, the conference had an emphasis on how project management could be used as a tool by businesses to manage and prepare for the impact of Brexit. Speaking during the conference, Ireland Chapter of PMI President Niall Murphy said: “Managing Brexit, and all the geopolitical and economic uncertainties, will require strong leadership involving real collaboration, excellent communication and teamwork across all business functions. Several speakers gave different perspectives on the possible effects of Brexit on Ireland. Event MC John Gallen, solicitor and CEO of gallenalliance, was optimistic about the country’s future prospects during his presentation. He spoke about the change as a transformative opportunity for the economy as companies will have to re-consider their relationships with the UK and Europe. He encouraged attendees to compete for tenders in Europe and the UK that could develop into new opportunities. Feilim Harvey, Advisory Partner in PWC’s Portfolio and Programme Management practice in Ireland, sounded a more cautious note. The implications of Brexit are likely to produce huge uncertainty which must be factored into assumptions made by project managers. There will be more career opportunities for project managers, but he also suggested those present will need to be strategic in their approach and allow capacity to shift, adjust or terminate projects subject to political and economic developments in the coming years. While the focus was Brexit, there were a number of other themes to the presentations. Cathriona Halloran, Manager Director of Microsoft Ireland, spoke about leadership in challenging times. During her presentation, she shared insights into her leadership style and how the digital revolution requires organisations to optimise their processes and increase efficiencies. Project managers will have a central role in this process because they will help to build the business case to support the change. She also mentioned the value of developing resilience within the employees of an organisation through tools such as mindfulness and other supports. Jackie Glynn, Head of Portfolio Management Office at Three Ireland, spoke about the initiatives taken by the Ireland chapter of PMI to promote and develop project management skills within secondary schools. There are plans to scale up the initiatives following positive feedback from the schools and teachers involved. Change consultant Peter de Jager talked about the importance of communication in organisations. His address offered examples of bad communication. He emphasised the importance of trust and respect when trying to communicate change messages within an organisation. The keynote speaker was Jim McGuinness, All-Ireland winning former Gaelic footballer and manager. He used his experience as Donegal county manager to discuss the importance of leadership to motivate team members to perform at their best. The 2017 conference was the organisation’s largest to date. The day was also an opportunity to network and connect with other professionals. The Ireland chapter of PMI has over 1,200 members. There are over 50,000 employed in project management across Ireland, in sectors such as IT, public sector, construction, pharmaceuticals and manufacturing.